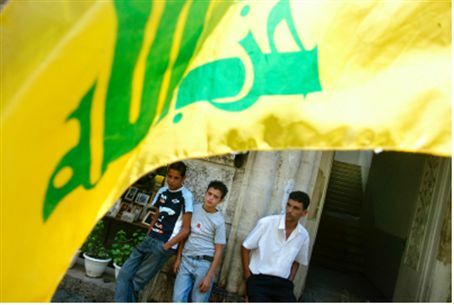 Over 1,000 members of Hizbullah have entered Syria in the past few days in order to fight alongside regime troops. Hizbullah is continuing to assist Syrian President Bashar Al-Assad in his fight against the rebels. Over 1,000 members of the Lebanese Shiite terrorist group entered Syria in the past few days via waterways in the Mediterranean Sea, the Saudi daily Al-Watan reported on Sunday. According to the report, around 1,200 fighters arrived at Syria's Tartus port in order to fight alongside regime troops. The armed members who arrived from Lebanon to Syria committed "a hideous crime" in the town of Talkalkh, the daily said, adding that tens of thousands of fighters entered from Iraq to aid the Syrian regime. The daily quoted sources as having said that the regime in Damascus "is resorting to the aid of fighters from Iraq, Pakistan and Afghanistan, which implies that the Syrian recruits' desire to fight alongside the regime is decreasing." The source added that reservists are also not complying with the army command's repeated calls to join the regime troops in their fighting. The regime has also been arresting men in their forties and forcing them to join recruitment camps so they join the fighting between regime troops and the rebels, Al-Watan reported. Last week, twelve members of the Hizbullah terrorist group were killed in an ambush near Damascus. More than 20 other Hizbullah members, part of a military brigade deployed in Syria to defend Assad, were also wounded in the attack, according to sources in the terror group. Last July, as the ongoing civil war in Syria continued, the terror group led by Hassan Nasrallah publicly offered to place itself at Assad’s disposal. But already several months earlier, a soldier from the Free Syrian Army told The Independent newspaper, published in the UK, that Hizbullah's Shiite Muslim terrorists are full military allies of the Syrian army and that "everyone knows they have fighters there." On Tuesday, Bahrain became the first Arab country to blacklist Hizbullah as a terrorist organization. The United States, Canada and Israel have long blacklisted the Shiite group, but in Europe, only the Netherlands lists Hizbullah as a terrorist group, while Britain blacklists its military wing.